Please note that the content of this book primarily consists of articles available from Wikipedia or other free sources online. 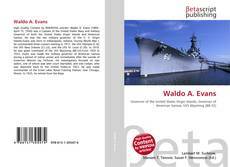 Waldo A. Evans (1869–April 15, 1936) was a Captain of the United States Navy and military Governor of both the United States Virgin Islands and American Samoa. 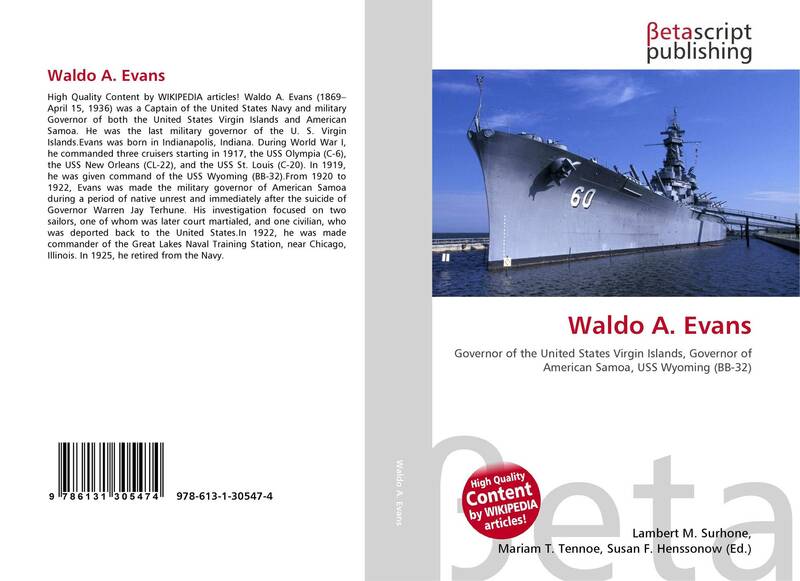 He was the last military governor of the U. S. Virgin Islands.Evans was born in Indianapolis, Indiana. During World War I, he commanded three cruisers starting in 1917, the USS Olympia (C-6), the USS New Orleans (CL-22), and the USS St. Louis (C-20). In 1919, he was given command of the USS Wyoming (BB-32).From 1920 to 1922, Evans was made the military governor of American Samoa during a period of native unrest and immediately after the suicide of Governor Warren Jay Terhune. His investigation focused on two sailors, one of whom was later court martialed, and one civilian, who was deported back to the United States.In 1922, he was made commander of the Great Lakes Naval Training Station, near Chicago, Illinois. In 1925, he retired from the Navy.